Presented by Wendy Cutler, Cherry Scout Coordinator. This walk begins with singing and the launch of the Easter Parade, accompanied by ukuleles and you! You may wear your Easter Bonnet for the occasion, and you may play your ukulele. The singing begins at 1:25pm sharp (but in tune). The Rose Arbour will be a focal point to discover many of the beautiful and unusual ornamental trees and plants in Stanley Park’s Shakespeare Garden. This walk will also feature discussion about the history of the park and how the Park Board balances demands of the public with the need for open green space. Celebrate spring at the Easter Train in Stanley Park! 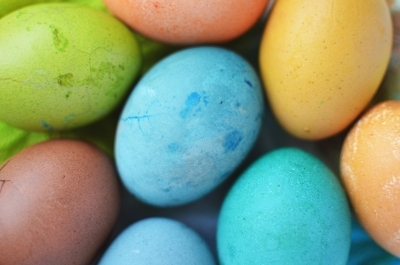 This fun for all ages activity includes an Easter Bunny performance, Easter egg hunts, craft and games workshops, and facepainting. The last train departs daily at 5:00pm. In the event of rain, stay dry with a covered train and boarding area, along with an indoor egg hunt. Join Foundation 33 for the 1st Annual Easter Fun Run & Walk! This holiday themed fun run offers a 5km Big Bunny Run/Walk at 2:00pm, as well as a 1km Little Bunny Run/Walk for kids at 1:00pm. The Easter Fun Run tours picturesque Stanley Park. Starting at Lumberman’s Arch, the course winds its way along the forest trails, surrounded by old oak trees, before coming out onto the seawall, with hallmark views of Coal Harbour and the Burrard Inlet. 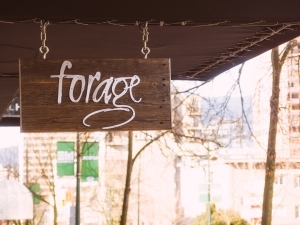 Forage will be offering breakfast and brunch over the Easter long weekend. Breakfast between 7:00-10:00 on Good Friday, Saturday, and Easter Sunday, and 6:30-10:00 on Easter Monday. Brunch throughout the weekend between 10:00am-2:00pm. Three Brits Public House will be hosting their Sunday Roast on March 27, with $18 slow-roasted prime rib paired with a scratch made Yorkshire pudding, braised carrots, yukon gold mash and garlic jus. BC wine and Guinness on special to complete the meal. Village Bistro‘s new brunch menu is definitely worth checking out, with numerous affordable and fantastic options including fried chicken & biscuits, smoked turkey benedict, and more!